Christ Church Day School will open its campus on Saturday, January 26 from 9am until 12 noon for prospective families to tour the campus, hear about our high academic programs, learn about the specialty programs we offer, and receive information about the admission process. We hope you’ll join us! 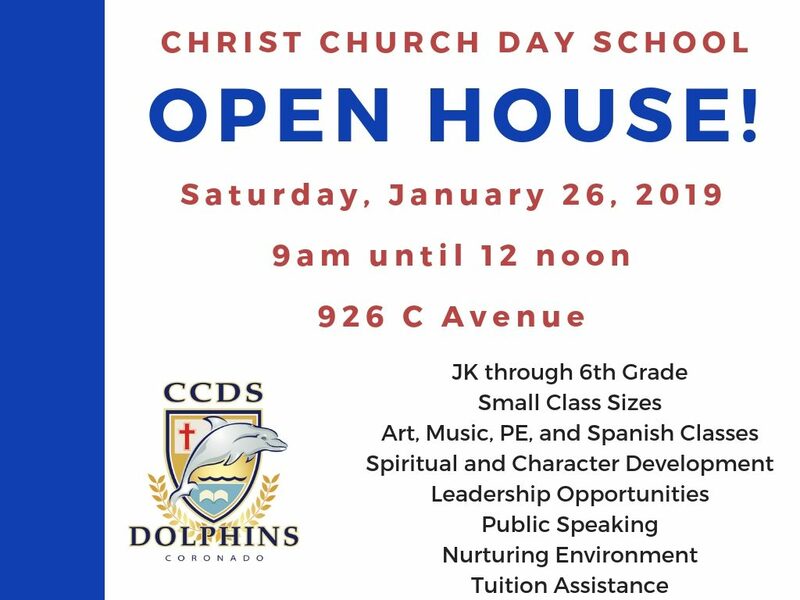 For more details, or If you can’t join us, please visit our website, ccds.org, to arrange a private tour.